The Southern Black Korhaan (Afrikaans name, Swartvlerkkorhaan) is slightly bulkier than the Northern Black Korhaan. 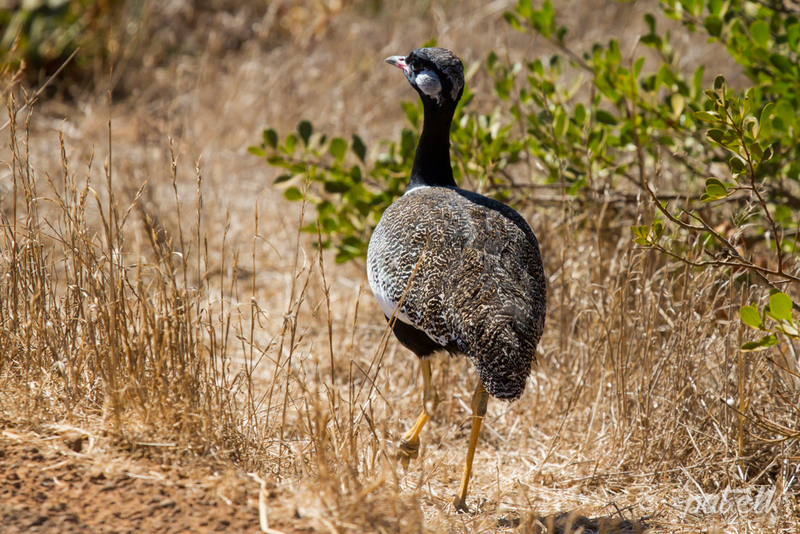 The Southern Black Korhaan is endemic to the Western Cape coastal fynbos and the Karoo scrubland. We were very lucky to meet up with this one in the West Coast National Park.